← 3:2 What’s In a Name? Searching for allusions in Green Grass Running Water is an eventful task. Drawing on historical, literary, mythical, or personal knowledge to better understand and appreciate King’s characters and stories is well worth the time that it takes to do so. The imbedded allusions and references make you question all that you read, and they lead you to enjoy the process of reading, or listening, that much more. Since acknowledging the thoughtful, humorous and insightful connections that King makes (at least the ones that I have found), I have begun to look at all that I read with a more critical eye, hoping to find hidden allusions or references that would otherwise be overlooked. The following blog post explains some of the character allusions that I have found (or have created) in Green Grass Running Water between pages 254 and 270. “Alberta let the water rise”: Alberta, as one of the main characters in the realist story within Green Grass Running Water, is connected by name to the Canadian province where Thomas King lived and taught for some years (Flick). More than likely her name was taken from Frank, Alberta, a small town in the Rocky Mountains that was the site of a disastrous slide in 1903 (Flick). She also earns her name by being frank in her communication (Flick). Following King’s humor and intent throughout the novel leads me to believe that Alberta’s name is a combination of the above ideas expressed by Flick, as well as a purposeful tribute to the province. Alberta’s character is able to speak to anyone who has a vision of, or any sort of relationship with the province. The reader is left to interpret Alberta as they see the province and themselves in relation to it – Funny, stern, contemplative, loving etc. Alberta means a lot of things to a lot of people. Between pages 254 and 256 we visit Alberta in the washroom where she is contemplating (dreaming) about the joy of having a baby in the tub with her. This dream is interrupted by thoughts of Lionel and Charlie, as well fears surrounding impending disaster and the practicalities of motherhood. In an attempt to block these thoughts and feelings, Alberta sits down in her half bath-half shower and “lets the water rise”. I believe that this moment connects the reader to a major theme in the novel, which is the cleansing presence of water, and how it represents new beginnings and directions. More than this, the presence of water, while comforting, can also represent a time for sober reorganization of thoughts and dream analysis. In this particular case, Alberta is able avoid all thoughts and dreams as she lies in the tub. It is only after the bath, when she surveys her day, that she makes the clear decision to go back to bed with a smile on her face because she has, at least momentarily, put things in perspective. “I guess we’re the ones to say what’s right and what’s not right”: The American border guards who search Alberta’s family car during a trip (pages 256-257), proceed to harass and interrogate Alberta’s family regarding their dance outfits, and because they are “Indians”. By asserting their “authority” in a brash and racist fashion, these two border guards serve to represent the treatment of Indigenous peoples by law enforcement in Canada and the US. The apparent white supremacy and abuse of power in this short vignette is underlined by the fact that the border guards confiscate the dance uniforms, for no reason, and threaten to jail Alberta’s family if they do not comply. This represents the power imbalance that exists between police authority and Indigenous rights, while also shedding light on the abuse and racism that is present at border crossings that represent nation states. 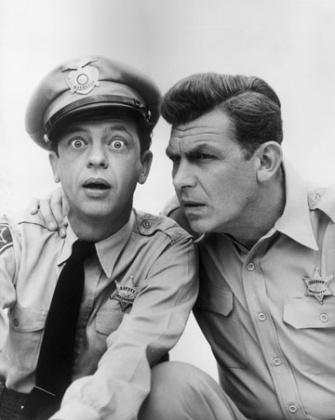 As one of the border guards is a young skinny kid, and the other is an authoritarian figure, I thought immediately of the Andy Griffith Show and the dynamic between Andy Taylor and Barney Fife. While the border guards described above do represent a departure from these two characters, I think that King might be applying the antiquated image of the white American sheriff to all law enforcement agents here in order to emphasize the absurdity of the actions taken by these border guards. “You can’t flood me out: Between pages 259 and 260 Eli Stands Alone is reflecting on his relationship with the Damn. In discussion with Sir Clifford Sifton, Eli externally explains his defiance, while internally acknowledging the futility of his standing alone. He understands, that is, the inevitable outcome of one man attempting to block a damn, but he is proud of his actions. He knows that the damn will, at some point, “maneuver around him”, but in the meantime he is enjoying the process of resistance because he is firm in his convictions. For Eli, standing alone is better than lying down. Eli is based on “Elijah Harper who blocked the Meech Lake Constitutional Accord in 1990 by being the standout vote in in the Manitoba Legislature”(Flick). In this short passage, King is able to explain what Elijah Harper, and others like him may feel in the face of adversity; that there are profound pleasures to be found in the act of resistance. When reading his name aloud, I was forced to think of the song “Here I stand alone” from the Tolkien Ensemble’s “The Hobbit”. Although the message is about isolation, the connection is mostly a phonetic one. “As long as the grass is green and the water runs”: Between pages 265 to 268, Buffalo Bill Bursum is depicted as a businessman-idealist who yearns for Parliament Lake and it’s trees, bushes and peace. According to Jane Flick, Bill Bursum’s character is named after Buffalo Bill, “an exploiter of Indians for entertainment” and Holm O. Bursum, who, as a New Mexico Senator, proposed a bill to strip land from Pueblos and give land title and water rights to non-Indians (Flick). As one of the first people to buy a property on Parliament Lake, Buffalo Bill Bursum embodies the spirit of his namesake, Holm O. Bursum, by demonstrating little regard for others while designing his dream cabin as he wishes, and exploiting resources and others as he goes. This mentality persists in his home entertainment business where his other namesake, Buffalo Bill, takes over to represent Buffalo Bill Bursum’s exploitation of the consumer and a mentality that sees him selling entertainment as an escape, no matter the cost. Elijah Harper, Key Player in Meech Lake Accord, Dies at 64″. IdleNoMore. N.p. June 14 2103. Web. 6 April 2014. Flick, Jane. “Reading Notes for Thomas King’s Green Grass Running Water.” Canadian Literature 161-162. (1999). Web. March 28/2014. Keir, Nick. “Here I Stand” Youtube. N.p. Oct 6 2009. Web. 6 April 2014. King, Thomas. Green Grass Running Water. Toronto. Harper Perennial. 1993. Print. “The Andy Griffith Show”. IMDB. N.p. n.d. Web. 6 April 2014. 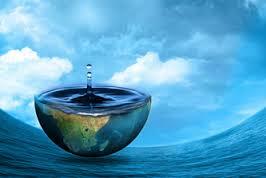 “Water, Water Everywhere, Nor Any Drop to Drink” . Environmentaltrends. N.p. Oct 23 2012. Web. 6 April 2014. 3:2 What’s In a Name? paulseymour on 3:2 What’s In a Name? Zara Dada on 3:2 What’s In a Name?